GREETINGS TO YOU, you wonderful Tree-huggers and Rainbow-chasers! Now that we have entered September, the year is gently winding down and the fruits of 2018 are ready for harvest. Some of those fruits I am offering to you now, and I think they are delicious! 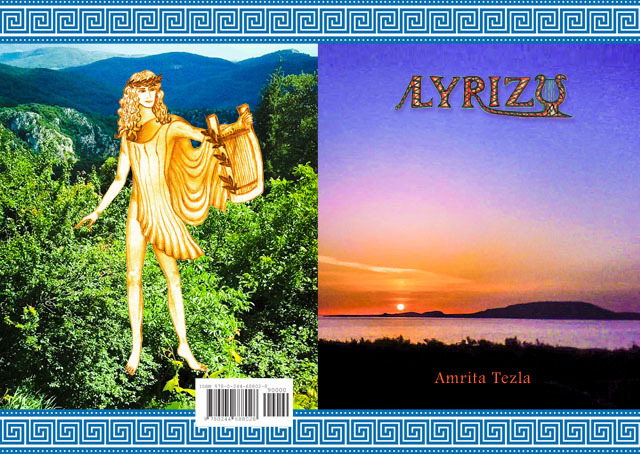 Many of you know that some while back I lived in Greece, where I did decorative painting, collected folk tales and wrote songs. A few of those songs were in Greek, a language heretofore unknown to me. But I felt compelled to express my feelings about Nature and Spiritual Growth. And here is the product – a little bilingual book called Lyrizo. It means ‘I’m playing the lyre’; and Lyra – Lyre in Greek – is, of course, the root of the word lyrics. While living in Greece and also on subsequent visits I took lots of pictures. Those pictures, as well as photos taken by a friend, inspired a series of calendars – six to be precise. The calendars, as well as providing stunning images, also give dates for New and Full Moons, Eclipses, Equinoxes, Solstices and those notorious Mercury retrogrades – things which are good to know! Fabulous Seascapes and Arcadian Dream are images of Ionian Sea with its islands and Arcadian countryside. These two calendars are a joint effort. Next – Expressions I, which is of my painting – both wall art and on canvas. And finally Expressions II – bits of songs over paint and digital effects. The Launch of both Lyrizo and The Dance of Life will take place in November. The date will be posted, early that month, on facebook on The Folk of the Twill page. Signed A3 prints of the paintings featured in Expressions I and pages from Expressions II are available upon request – on paper or card. Due to those unexpected projects, the revision of the third Twill book had been delayed – but now it’s full steam ahead; and only after its publishing I’ll return to The Elemental. I’ll keep you updated. Oodles of Love and Heaps of Bright Blessings! 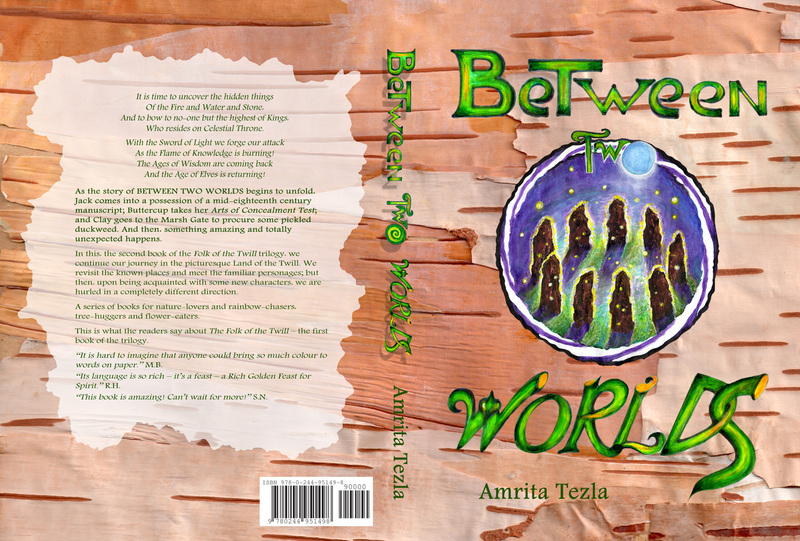 The Folk of the Twill book has just been published! Be one of the first to buy it – click the link below!